The end of open enrollment is just over a week away and many don’t know it (check out last week’s news item). 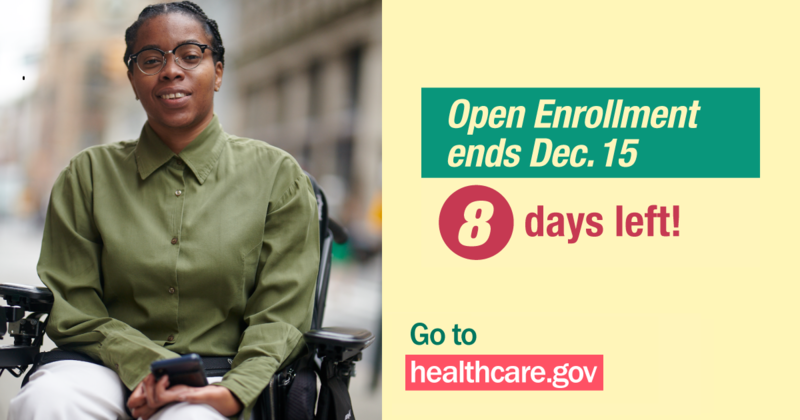 AAHD is working with Community Catalyst and other partners in educating individuals about enrolling for health insurance for 2019 and we have countdown graphics like the one below which can be used to highlight the December 15th deadline. For more graphics like these which could be used for every day between now and the deadline, check out today’s news item. To read more about what we are doing with the Community Catalyst project, or for a link to access the online drive of more images like the one below which can be used to highlight OE6, check out our blog post. Our partners from the Community Catalyst project (and other organizations) also have other resources to help with outreach during this final push for open enrollment. APIAHF has created a social media guide with sample tweets you can use. UnidosUS created a tool-kit with social media content in English and Spanish. Out2Enroll created this social media tool-kit as well. Young Invincibles created an open enrollment toolkit with talking points and key messaging. 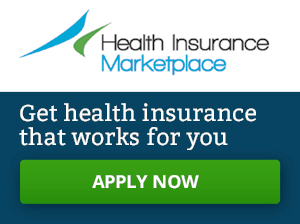 Get America Covered has also created a toolkit. A new report from the Georgetown University Center for Children and Families shows that the rate of uninsured children increased for the first time since the ACA was fully implemented. To read more about the Georgetown report or for a link to download or copy, check out our news item. The Center on Budget and Policy Priorities (CBPP) has also written a blog on this report. Late last week, the CMS Administrator announced new guidelines for section 1332 waivers under the ACA. Waivers under section 1332 allow states to make changes to the way the marketplace operates within their state and CMS says the new guidelines will provide states greater flexibility. Health Affairs has published two blogs on the new CMS guidance: the first blog is more of a synopsis of what’s included in the guidance and the second blog provides more analysis on what it could mean for marketplaces in the future. The Kaiser Family Foundation also published a Q&A on what the new guidance means. Speaking of Medicaid waivers, if you want to learn more about the state waivers regarding work requirements, check out the previously published blog post we did in February which details what states are doing regarding adding work requirements to their Medicaid programs. We continually update this post, including a new addition this week on a blog from CBPP which examines the fact that most people who lose coverage due to the new work requirements will end up uninsured. Researchers from the Collaborative on Health Reform and Independent Living (CHRIL) are recruiting individuals with all types of disabilities and/or chronic health conditions to share their experiences getting and using health insurance, Medicaid, Medicare and/or other coverage and how coverage or not having coverage affects your access to needed health services. To learn how you can participate, check out our news item. Last Friday, the Centers for Medicare & Medicaid Services (CMS) released the Eligibility Determinations and Enrollment Report from September 2018. This report can also be found on our Resources & Links page under “Enrollment Statistics.” Prior Medicaid enrollment reports from CMS, are archived on our website.